We don't know. We do know the boat is still in CA as of last Sunday. We also know it is listed as "sold" on the http://www.fastisfun.com/ website. Maybe someone in the know will comment. It would be nice. Very nice article at http://www.foxnews.com/story/0,2933,332900,00.html Don't forget that John is being honored at the Milwaukee Community Sailing Center this Saturday - March 1st and the the MAST Yellow Submarine will be there too! I have been following up on my recent post regarding installing an Solomon Technologies ST-74 engine powered by fuel cells in a Catalina 42. My first confession is that I did not realize just how old these posts were having been “bumped” by some bloggers who were obviously interested. I also discovered that there was a “Have Blue” project at Lockheed. It was a precursor to the F-117 aircraft. Apparently two Have Blue planes were built and tested at Groom – a.k.a. Area 51. Not our "HaveBlue" but interesting trivia. I got in touch with Solomon Technologies. 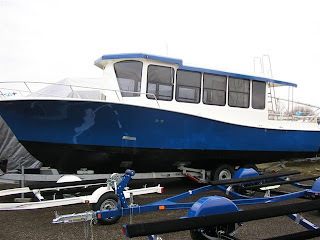 Their answer to my inquiry was: “The boat you speak of was a collaborative project between Haveblue, a hydrogen fuel cell organization, promoting alternative energy and contributing manufacturers/suppliers. The project was halted a few years ago and the contributed products returned to the original manufacturers.” I looked up Have Blue on the internet. What I did not find was an active company or organization pushing fuel cell/electric drive technology for auxilary power for sailboats. I did find a reference to http://www.haveblue.com/ a web site that simply says “This web site is closed.” In searching the forums of the Catalina 42 owners association I did find references to the project from 2004. Apparently Catalina Yachts loaned a Catalina 42 to HaveBlue for the test. You can read the posts at http://catalina42disucssionforum.yuku.com/ Do a search on “have blue” (with the quotes or you will get lots of hits for blue dodgers! ) So, for the moment I will consider this one closed. I finally bit the bullet and drove down to Skipper Buds at North Point Marina. 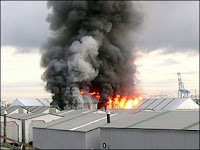 There is no question that there was a fire, the smell hits you long before you make it to the entrance. I was treated politely but told that there was no one at Skipper Bud’s authorized to make a statement. 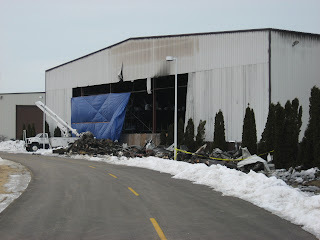 The fire was in the cold storage building of the facility. It was discovered when a fire alarm went off. An employee checking on the fire alarm confirmed that it was not a false alarm. All of the fire suppression equipment in the building – and Skipper Bud’s is proud of the investment they have made in fire suppression equipment – worked, as far as anyone is a position to know, exactly as it should. 1100+ boats on the property. One responder was injured when he slipped on an ice patch. Work continues on fixing the building and treating the boats that were in the building for smoke and water damage. I was told that there is every expectation that all the boats will be ready to launch by Spring. The picture is as close as they would let me get to the building! Adrienne Roach, WLCV's Southeast Organizer will be giving a presentation on Great Lakes Water Resources Compact at the Milwaukee Yacht Club, March 3rd at 7 PM. "Adrienne will discuss the the many threats to our Great Lakes, such as invasive species, toxic dumping, and the problems and solutions associated with protecting the Great Lakes from further unnecessary divisions. Established in 2002, the Wisconsin League of Conservation Voters (WLCV) is a nonprofit, nonpartisan organization dedicated to electing conservation leaders to the state legislature and encouraging lawmakers to champion concervation policys that effectively protect Wisconsin's public heath and natural resources." Posted without comment as a public service. 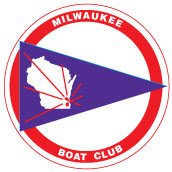 This Saturday, February 23rd is “Yacht Club Day” at the West Marine store on 76th street in Milwaukee. Here is how it works. The store is open from 9 AM to 5 PM. Come in and register your name and yacht club affiliation for a chance at the door prizes and to get the yacht club discount. In addition there will be munchies! There will be one grand prize of a inflatable PFD. For each yacht club represented there will be a first prize of a 3rd Reef jacket and a second prize of a fleece blanket. In addition there is an across the board 5% discount on electronics and a 10% discount on everything else. Kip and Trevor also ask you to come in to tell them about what you think of the new store layout and inventory. They have rearranged the store and added a lot of new inventory to better match the needs of the sailing and boating community in Milwaukee. They are actively looking for your feedback. The best news is that Trevor tells me that he has spent the last week and a half doing prices changes in the store and that in every case he has reduced prices. For example, today he dropped the price of an 6 hp 4 stroke Mercury outboard by over $200! OK. Here is a big rub for me. A local group is trying to bring the air show back to Milwaukee this summer. 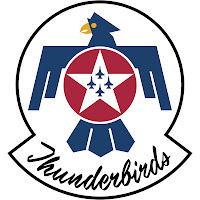 My information is that they have a firm commitment from the Thunderbirds to appear at the show which is tentatively scheduled for July 12th and 13th. According to my sources what is up in the air (boy that was an unintended and bad pun!) is financial sponsorship. 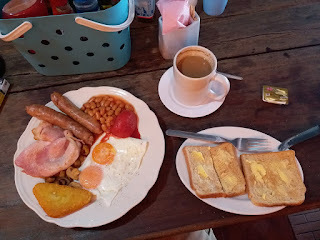 Great - right? It all depends on how you see it. The problem is that an Air Show makes it difficult or impossible for other users of the marina and outer harbor (for example the charter fishing boats and the sailing classes) to use the waters not only for the two days of the air show but also for the two "practice" days before the show. While not opposed to the Air Show there is a group that would like to see the venue moved away from the McKinley Marina and Outer Harbor waterfront. I will be racing Reboot in Lake Huron that weekend, so I don't really have a personal stake in the outcome. This is too cool for words. The crew of Groupama 3 took video of their own rescue! Here is some coverage from the local paper (Lake Country News Sun) http://www.suburbanchicagonews.com/newssun/news/800494,WA18_budsfire_s1.article I will let you know if I learn anything new. Nice article on Physics Today website http://ptonline.aip.org/journals/doc/PHTOAD-ft/vol_61/iss_2/38_1.shtml Enjoy! Ten French yachties have been rescued from the overturned hull of their racing yacht 80 miles off the coast of Dunedin, NZ. 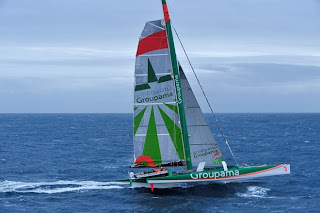 The yachties were rescued at about 4pm local time from the hull of their Groupama 3 trimaran which was taking part in the Jules Verne Trophy round-the-world race. 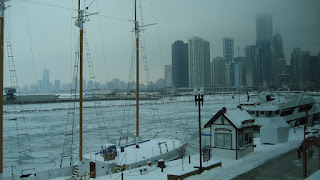 We usually blog about the "Mid-west Coast," that is the south side of Lake Michigan. But while following up on the Skipper Bud's fire we ran across yet another marina fire this weekend - this one at Ole and Charlie's Marina in Tacoma WA. The press coverage is much more extensive, but this link will give you an idea of what happened. Not a good weekend for boat storage! I have been invited to participate in a “stakeholders meeting” at McKinley Marina. We will be discussing the upcoming season and I am sure will revisit issues like fishing, weeds, etc. I will report back here. If there is something that you would like me to bring up please post a comment below and I will do my best to ask and report back. I have tried to get in touch with Skipper Buds and they are not answering the phone. Here are some additional links to news coverage: http://www.suburbanchicagonews.com/newssun/news/797659,5_1_WA16_BUDFIRE_S1.article http://whyc.clubexpress.com/ http://www.chicagotribune.com/news/local/chi-boat-fire_webfeb16,0,6260589.story http://www.chicagotribune.com/news/local/chi-boat-fire_bothfeb16,0,6890698.story What I find interesting (and somewhat disturbing) is that there is almost no news coverage. For example, I have seen posts that suggest that 6 boats were damaged, 4 boats were damaged, etc. Most sites link back to the CBS Chicago TV station that had the helo up. More when I get more. We posted our attendance at the MAST annual awards ceremony, and even posted the pictures of the winners up on the MAST page on Facebook at http://www.facebook.com/note_redirect.php?note_id=7959498348&url=http%3A%2F%2Fwww.facebook.com%2Fpages%2Fmilwaukee-WI%2FMAST-Yacht-Club%2F20823389272&h=47aa8f2eb84d7cdd08f8260280c00e12 but we didn't post the final results. I stopped down at Inner Harbor for an update on the water taxi project and came away even more excited. I can’t share all the details yet (some of them are still being worked out I would guess) but here is the latest scoop – not one, but two routes. Route 1 will be the “Blue Route” (I just named it, so don’t be surprised if it gets a different name) as it will be doing a loop in the outer harbor – the closest thing we have to blue water. (If you have ever seen my license plate you will know my love of Blue Water!) It will cycle from South Shore Yacht Club to the Lake Express Ferry Dock to the dock on the Milwaukee River behind Inner Harbor (near the south end of the festival grounds) then up to Pier Wisconsin (at Discovery World –near the north end of the Festival Grounds) then on to the Milwaukee Yacht Club/McKinley Marina. Route 2 will be the “Amber Route” (closest color I could get to beer and ale) and run from the Inner Harbor dock up the Milwaukee River as far up river as Laacke and Joys and the Edelweiss docks. Aaron mentioned the Amtrak Station and Post Office, they are up the Menominee River so I am not sure if the plan includes a trip up the Menominee. 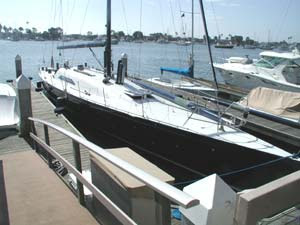 I have seen pictures of the boats Aaron intends to use on the “Amber Route” (they are really cool!) but don’t know if he has finalized them yet so you will have to wait before I can tell you any more about them. More to come so check back often! Last night Trevor and I went to the MAST Yacht Club annual awards dinner. We took some pictures and posted them here: http://www.facebook.com/album.php?aid=13641&l=c52f2&id=20823389272. It was a lot of fun and just reminded me of how much I would like to be back on the water. Of course we are having one of our cold (-5 degree F) February days here in Milwaukee today. We are all waiting for spring! 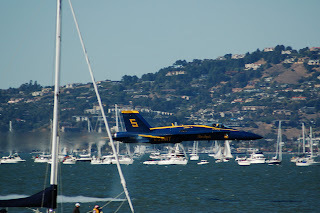 While cleaning up my computer I can across this link to some amazing pictures from the 2007 San Francisco Navy Fleet Week. As of last Wednesday the 100th running of the Chicago Mackinac race had 450 boats entered! How very cool! And Greg J. Miarecki and company are trying to figure out where to put more boats so they can expand the size of the race. This will clealy be an event to remember! If you spend time on the waterfront, in particular if you spend time near Pier Wisconsin, you may have noticed new boat slips south of the pier in the direction of the Summerfest grounds. I spent some time at the very end of last season in one of the slips aboard ISA, a Bruce Roberts Offshore 44 cutter rigged sailboat owned by my friend Pat Wilborn of Port Washington. 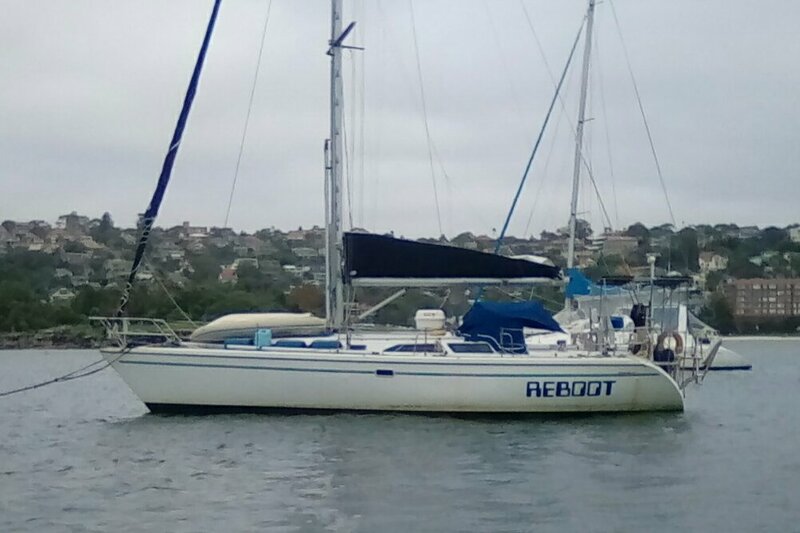 (A quick plug here for Pat, he also has a nice sail loft – Sail Away Sails - and is a great guy to go to for sail repairs. You can reach him at Wilborn@execpc.com. Tell him I sent you!) So as I was researching my post on the new water taxi service I needed to know – exactly who owns the new slips and how does one reserve them? The slips are part of the latest state park in Wisconsin – Lakeshore State Park. The DNR has a nice web site about the park at http://www.dnr.state.wi.us/ORG/LAND/parks/specific/lakeshore/ Lakeshore is the newly renovated island on the north side of the festival grounds. In addition to providing slips it includes a multi-use trail that hooks up with the Hank Aaron State Trail and the Oak Leaf Trail. It will also provide improved access to local fishermen. Spent some time surfing today. Ran into a site called Sailfast Chicago. http://www.sailfastchicago.com/ They appear to be focused on the Chicago sailboat racing scene which of course at the moment like Milwaukee is frozen out (lol!) It is a pretty well developed site in that it has a lot of software stubs (e.g. its own wiki) and hooks (e.g. to a messsage board that has some limited use.) Apparently it has been around for a while. I will check back in a few weeks and see if there is anything of particular interest to share. In the meantime you may want to check it out for yourself. You may remember our post about the new Marine Store and Marine Service organization here in Milwaukee. The link is: http://rebootracing.blogspot.com/2008/01/inner-harbor-marine-milwaukee-wi.html Aaron, the managing partner has just posted a nice set of comments about my original post and you can read them if you follow the link above. In addition to motivating me to stop by the store in the very near future and provide a more comprehensive review I make the following observations: 1. Location via car. I don't particularly find that location convenient. I don't particularly find driving to West Marine convenient either. I note that Southwind has a mini-store at McKinley where I keep my boat. That would be convenient if the stock was stuff I needed. 2. Location via boat. I think it is really neat that Inner Harbor has two slips. I hope they are big enough and wide enough to make landing a 42' sailboat easy. That would not be a true statement for most of the slips along the Milwaukee River - they are far too short. 3. I am delighted that the boat concerage service seems well received. I had wondered if this was a viable business. My motiviation was to put my then teenage sons to work doing it. I am happy for Aaron that he has signed up 16 boats. We will have to see how both Aaron and his clients feel about the service at the end of the season. We now have a Reboot Racing web page on Facebook. Come over to http://www.facebook.com/pages/Reboot-Racing-USA-60493/8072707870 and become a fan! Just got back from the Chicago show. It has gotten much bigger in the last few years. I went with Ed King and Dan Scardino. We then went on to the Pink Pony Party at the Chicago Yacht Club. (For those out of the loop the Pink Pony is the largest and closest bar to the finish line of the Race to Mackinac.) There was a nice turn out and decent music. There was also a lot of 100th Race merchadise on display. One thing we did note is that every sailboat manufacturer at the show has his fractional ownership partner right next to the boat display. So we concluded that fractional ownership is truly "hot" this year.